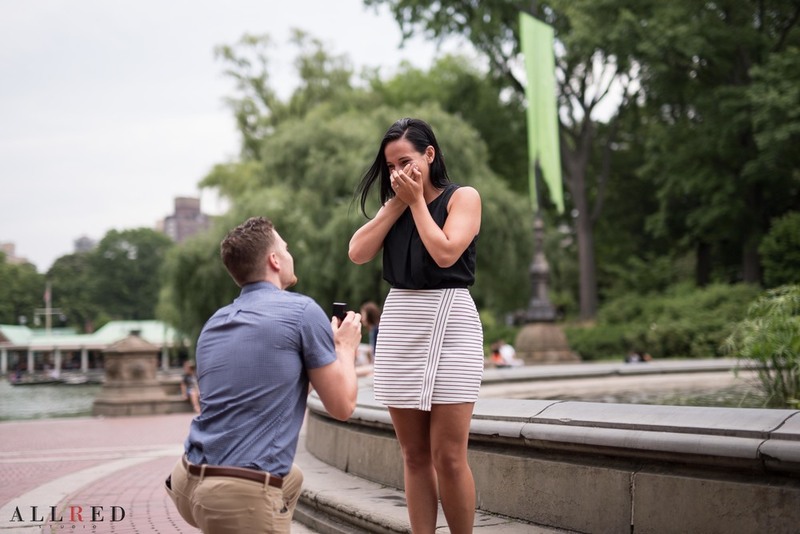 I just love an amazing surprise proposal in Central Park! 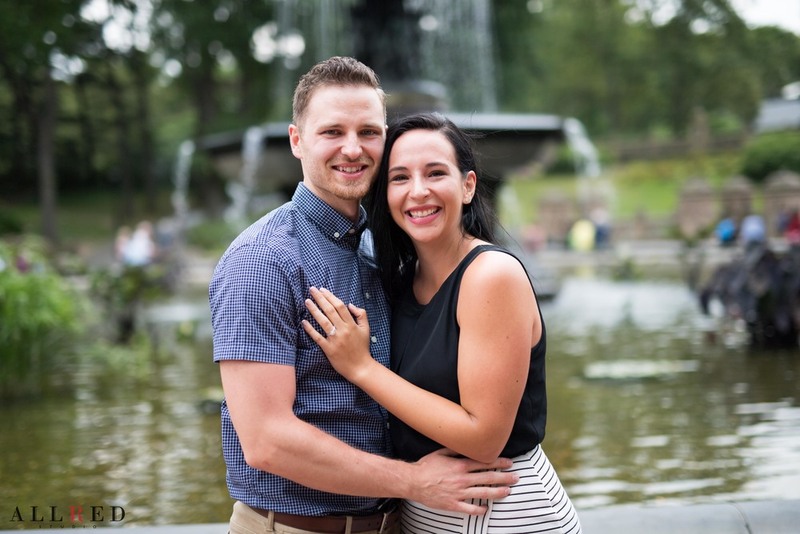 On August 2, John and Bailey were engaged at the beautiful Bethesda Fountain in New York City. 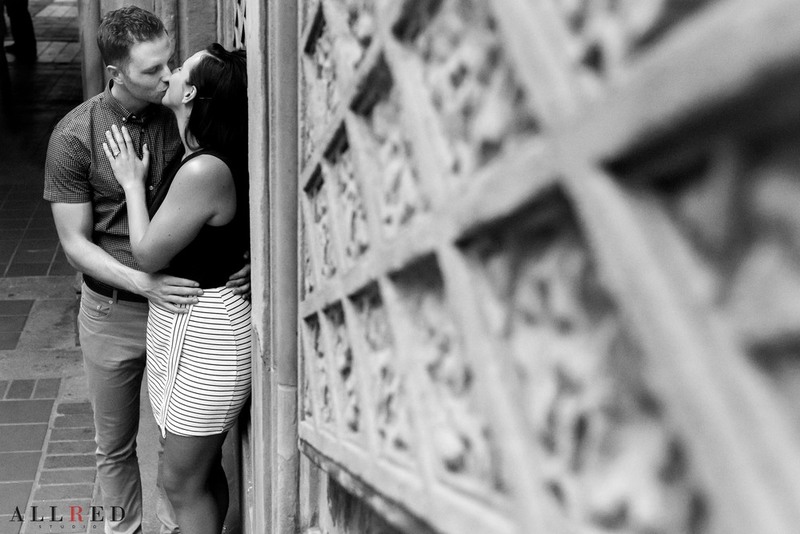 About a month ago I received an email asking if I was available to secretly shoot a wedding proposal in Central Park. I was over the moon with the idea! 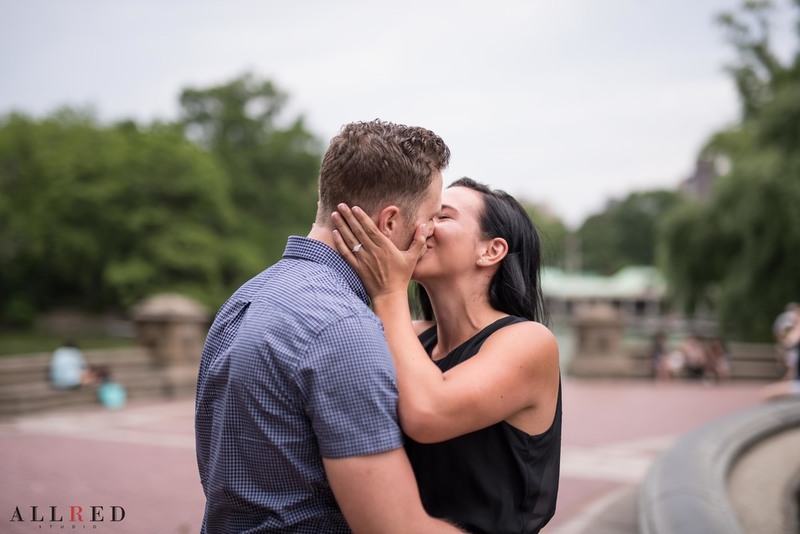 The plan was to meet near Bethesda Fountain and introduce myself as a roaming photographer, and when given the signal by the future groom get ready for the proposal shot! And it all went according to plan. I introduced myself: "Hi, my name is Brian and I would love to take pictures of you two!" The future groom played right along, saying "We were just thinking about how awesome it would be to get a photographer to take our pictures here!" She was a little more skeptical, and with her focus on me did not realize the setup as she moved closer to the fountain. John gave the signal by going down on one knee, preparing to propose to the future bride, Bailey. And the rest is history. Congratulations to John and Bailey on such an amazing proposal in NYC! This one goes down as one of my favorites of all time!